The ASUS MX Series design was inspired by the concentric style of a sundial—a masterpiece of innovation created over a millennia ago. The ASUS design processes follow a similar line of thinking: simple yet innovative, natural yet empowering. The ASUS Design Team found inspiration in the sundial concept, and crafted a stand that symbolizes complete flexibility, professionalism, and meticulous art. A masterful culmination of advanced technology and artistic design, the Designo Series MX299Q Ultra-wide 21:9 Cinematic monitor represents the current state of the art in PC monitors. 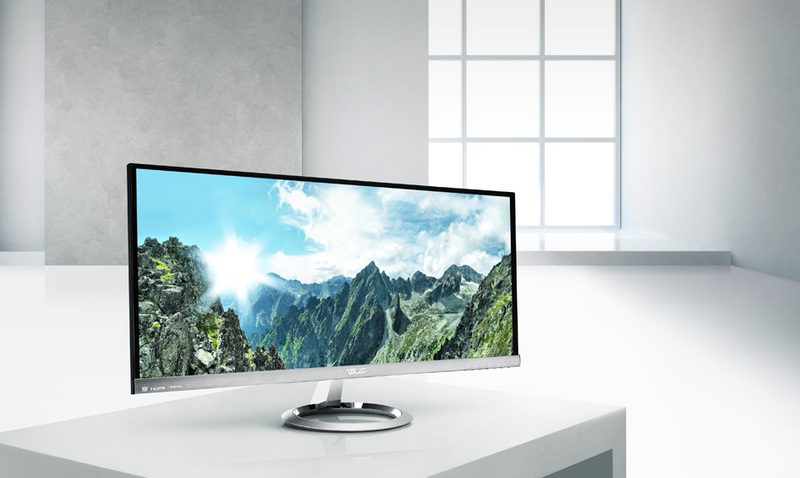 A sleek 29-inch AH-IPS display with an ultra-wide 21:9 ratio and 2560 x 1080 resolution, the MX229Q delivers a 33% larger display area compared to a Full HD monitor for the best theater-like home entertainment. What’s more, the MX299Q has an edge-to-edge, frameless cinematic display for an ideal multi display setup and stylish design.